Why not try to touch the sky? The Playground One Extreme Playcenter offers the highest deck height available and the largest deck size we offer. 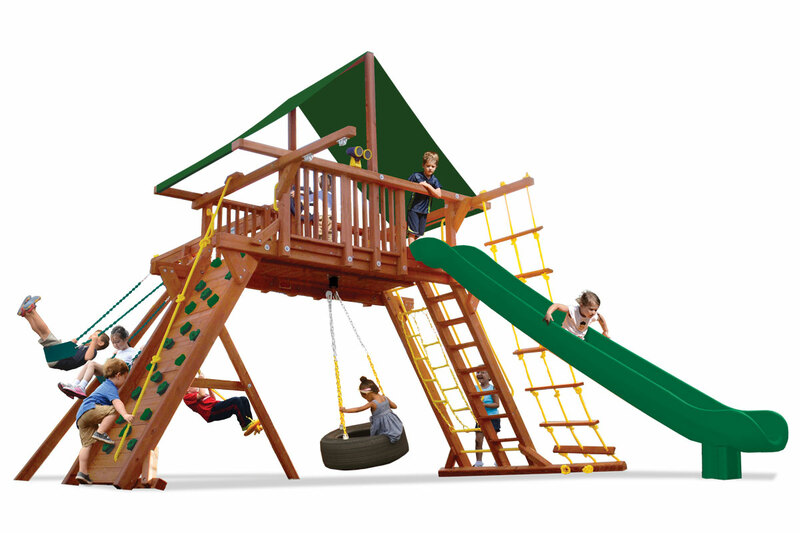 At a 7.5 ft deck height and 35 sqft of play area, the Extreme Playcenter has a 15 ft slide, 10.5 ft high swing beam, rockwall and step/chain ladders. Why not offer your family the best of everything? 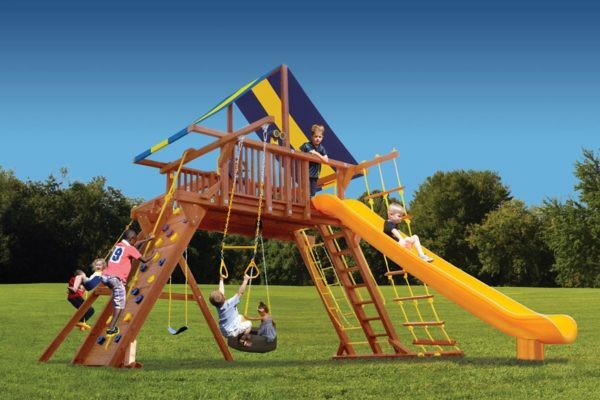 This total activity center is in a league of its own!